The Xerox VersaLink B400 is a monochrome laser printer designed for small or medium offices and workgroups. In addition, it offers a high maximum monthly duty cycle and prints highly expandable. The B400 also supports many connectivity and security features like Gigabit Ethernet, Wi-Fi and the popular peer-to-peer protocol. 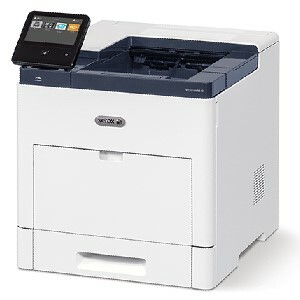 In addition, the Xerox B400 control panel consists of a 5-inch color touch screen with Power and Home buttons . It also delivers some apps like Xerox ConnectKey Apps, Xerox App Gallery and much more. Plus, the control panel let you monitor and manage your printer locally or over the internet from Xerox Embedded Web Server, Xerox CentreWare Web, Email Alerts, and Apple Bonjour. The VersaLink B400 also supports the following languages: PCL 5e and PCL 6, Adobe Acrobat (PDF), Microsoft (XPS), TIFF, JPEG, HP-GL, and Adobe PostScript 3.